Have you space utilization needs changed over time? 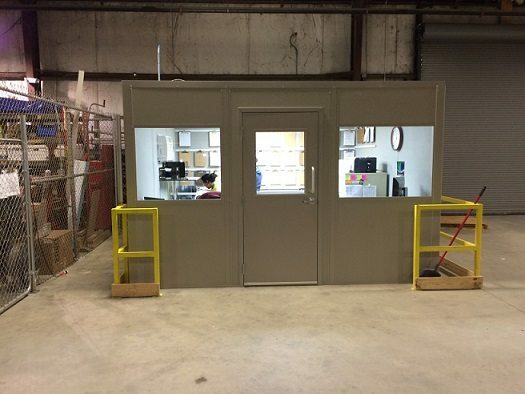 If your needs have changed, or if you simply need to configure purchased or rented space differently than it is now, modular inplant offices can be a very convenient and affordable solution. You can get your new offices delivered in days, and they can also be constructed with minimal disruption to the rest of your work. This makes them a smart and frugal business decision. What Are Inplant Offices Used For? Lots of business people do consider the use of these modular inplant offices to provide plant managers with office space on a plant floor. That is certainly one popular use of these buildings. Your supervisors and managers can have a place to get away from the noise on the floor so they can do paperwork, make phone calls, and have private conferences. These offices might have one or two rooms so there is plenty of extra room for employee interviews, an administrative assistant, or a conference table. Open designs mean that your manager can still view the action outside their offices, and they are never more than a few steps away if they are needed. Closed designs can give your plant managers privacy to hold conferences or concentrate on business problems. One other common use for these modular spaces is as an employee lunch and break room. You can improve employee morale if they have a comfortable and private room to take lunch, make a person call, and relax on their assigned breaks. They can even be configured to include a small kitchen, restroom, or shower. If you need an onsite medic or nurse’s station, you can use these modular offices for that too! Even though these plant offices and extra rooms are common uses of inplant offices, the are certainly not the only one. You can use these flexible building parts to create new spaces and totally change the function of an open area. One of the biggest advantages of these modular units is that they are not permanently set into the building, but can be changed around as needs change. Some businesses use them as classrooms and training centers. In fact, entire office buildings or plants have been transformed into schools with the use of these flexible partitions. If the building floor is high enough, some of these inplant offices can even have multiple floors, giving you the most efficient use of space. You might have been considering building an addition to your current building, but modular offices might help you use your existing space better so you do not have to go to the trouble and expense of a new building project. 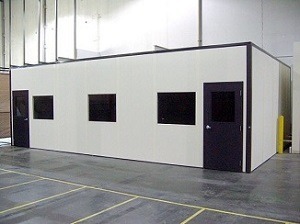 There are plenty of ways to use modular inplant offices to use space efficiently. They can be changed quickly, delivered fast, and implemented within days. This means that you can get down to business without waiting for weeks for a construction team and then having your business disrupted. They are generally a much less expensive solution than permanent walls, and they can also be changed later. Once these flexible offices are installed, new employees, visitors, and guests may never realize that you used modular building materials at all. They can look like they have always been part of your building. This is because you can choose these pre-fabricated parts in many different textures that can mimic other materials. Nobody will know that you made the smart decision to utilize modular designs unless you tell them. Modern modular offices have a lot of advantages over traditional building methods, but few drawbacks. In addition to being inexpensive, flexible, and fast, they should also be very safe. These new materials are durable, and they are also fire and sound resistant. You can protect your valuable employees better and make efficient use of space! It is easy to find suppliers of these modern and efficient modular offices. Find a supplier who has a good reputation, provides the modular parts you need, and can deliver on time. Because these offices can be put together quickly, your business should not be disrupted. Because these offices are inexpensive, you should enjoy a great return on your investment very quickly.